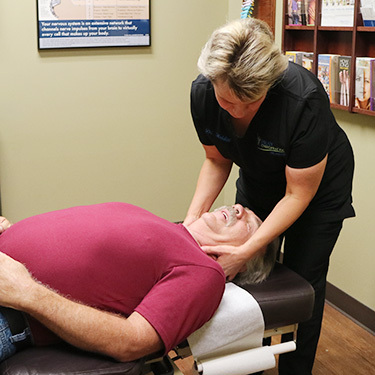 Pray Chiropractic’s highest priority is catering to your needs. From the moment you step in, we’ve thought through every detail to make sure that you’re blown away by our customer service. You’ll find that our atmosphere is professional and positive with a friendly, accommodating staff who are excited to welcome you. We look forward to meeting you! 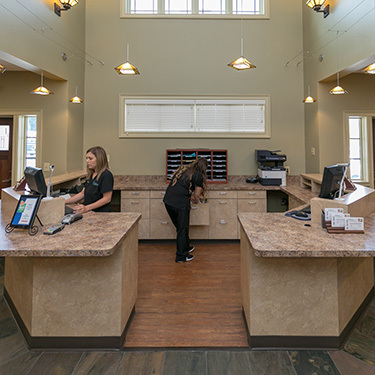 When you walk in, our team will introduce themselves and show you the paperwork we need you to fill out, offering to help you with it. You can also fill out these forms before you come in to save time. 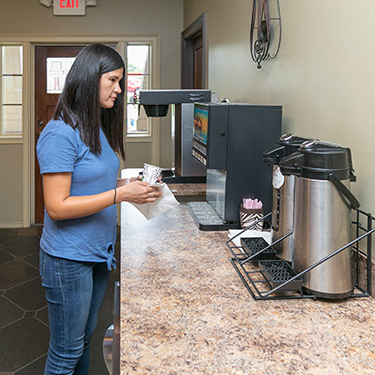 You’ll be offered coffee or water, then escorted to an examination room. While you wait, you’ll watch a brief introductory video to find out how we help patients just like you. A staff member will meet with you to go over your medical history and get as much information as possible on what’s brought you in. 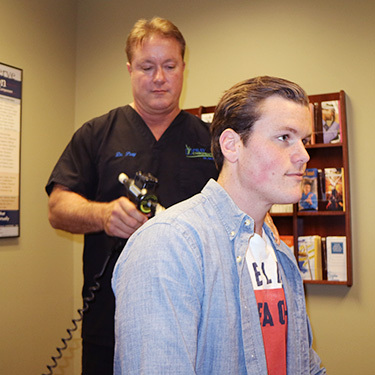 Then, you’ll meet your chiropractor for a consultation and examination, including orthopedic and neurological testing if necessary. 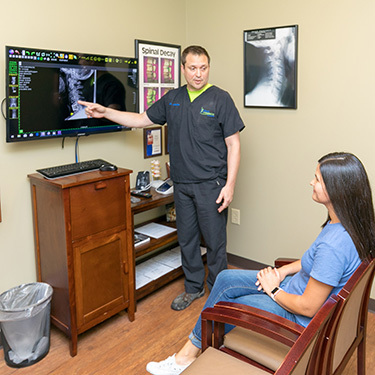 If X-rays are needed, we offer digital facilities on-site. 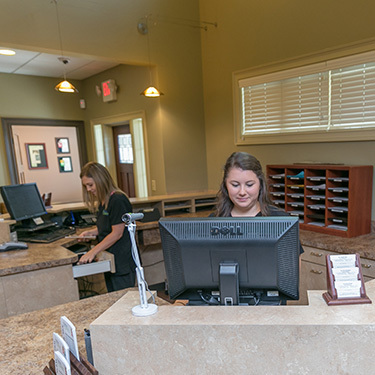 After an office tour, you’ll be brought to the front desk to schedule a follow-up appointment. 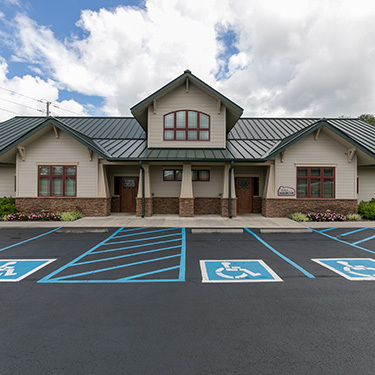 If your visit took place early in the day, we may be able to analyze your case and see you later that afternoon for a report of findings. Otherwise, you can schedule your report of findings for the next day. 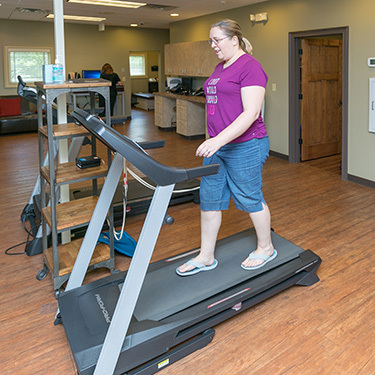 You’ll be brought to our report room and watch a brief video about chiropractic care. 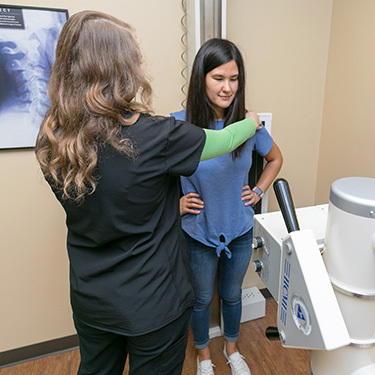 Your chiropractor will then come in and review the findings from your examination and go over your X-rays, as well as giving you their recommendations. Next, our case manager will meet with you to give you choices about your care. 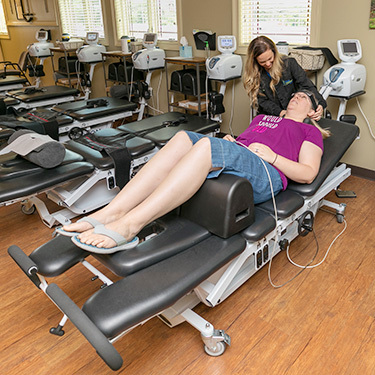 You’ll choose the treatment and payment options that work best for you, as well as scheduling any future appointments. Be sure to bring your spouse or other relative that has an interest in your care. 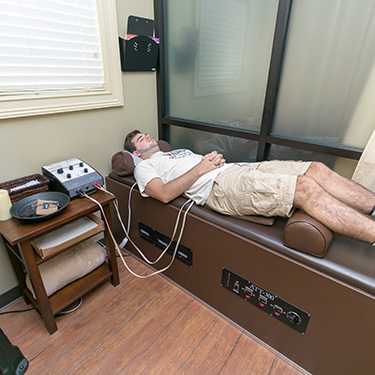 You’ll receive your first chiropractic adjustment and any needed therapy. 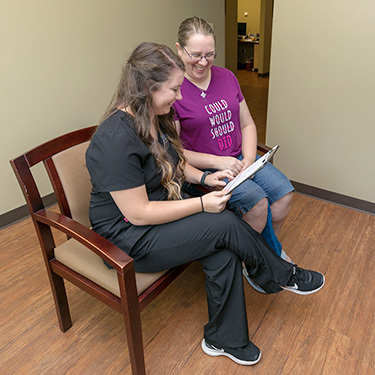 You can expect a call from your chiropractor that night, as we like to check on our first-time patients to make sure we’ve answered all your questions and addressed all your concerns. Are you ready to get started on improving your health? 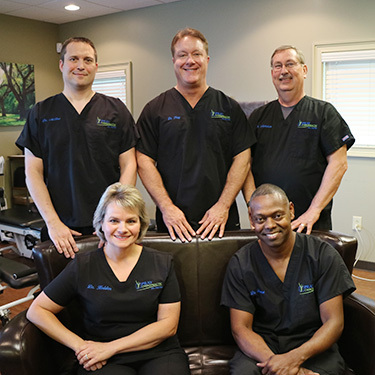 Contact us today to schedule for a free pain evaluation that includes a consultation and examination!